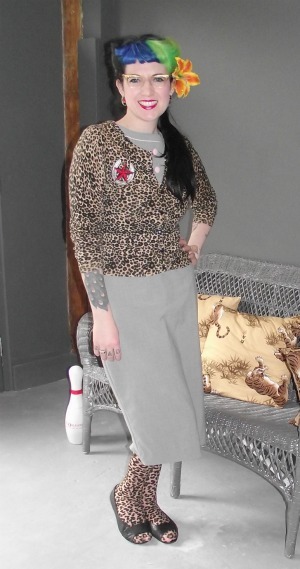 Today I'm wearing my Bettie Page page (grey and pink) with leopard print tights. I'm matching the tights to my cardigan. I'm wearing my sleek pony tail from Annabelle's Wigs.